Dr. Tracy Van Es, Audiologist and owner at Little Rock Audiology Clinic, has been meeting the hearing needs of Arkansans for over 15 years. 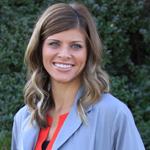 She is a graduate of the University of Arkansas for Medical Sciences in Little Rock and earned her doctorate from the Pennsylvania School of Audiology. Dr. Van Es was voted Best Audiologist in the 2018 Best of the Best reader’s poll.